A List that has been carefully curated with excellent content creators on a particular topic can be a resource for your followers. All public lists that you create and any list you subscribe to show up on your Lists page. I create lists on various interests that I have. As I’m perusing my timeline, I will add accounts to appropriate lists whenever I think about it. Then, when I want to see what they’re sharing, it’s really easy to check for their content on a list of 20 rather than my timeline of 3000. I love being able to segment the people I’m following. 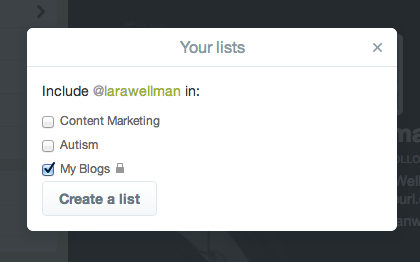 Lists allow you to follow without following. 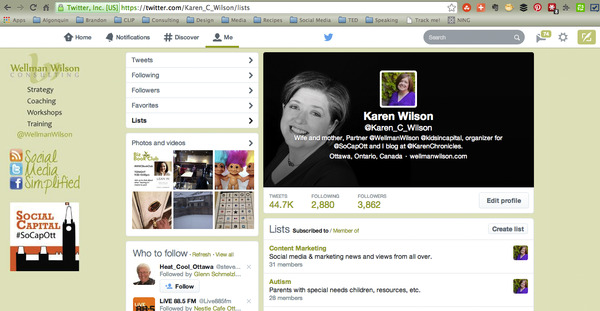 You can add any public profile on Twitter to a list and you never have to follow. This allows you to monitor content on accounts without clicking the follow button. This can be useful if you like to see the news, but don’t want your timeline filled with newspaper and TV news updates. You can use this tactic for other types of monitoring as well - competitors, similar businesses in other regions, political figures, etc. Below your profile on the right, click on “Create List”. Name your list, describe it (if you want), select whether it will be public (viewable by all) or private (viewable by only you). Then save! Now that you’ve set up the list, you’ll want to add some people to it. This is the view of lists Lara was a member of prior to me editing the list. Check off any lists you want to add the person to. And if you want to take them off a list, uncheck the name of the list. Now that you know how to add and remove users from lists, you can begin to curate lists that will segment the large group you follow into smaller groups. Sometimes it’s easier to subscribe to a list that’s being curated by someone else. For example, if you are a member of a business organization, you would benefit more by following the list that is being maintained by the organization rather than trying to create a duplicate list. For example, Social Capital Conference has a list of attendees from the 2013 conference (at least those who provided their Twitter handle). If I subscribe to that list, then the people managing the Twitter presence will also update that list so I don’t have to create my own and update it. Click on the “Subscribe” button and then you can access that list easily from your account. Ideally, you would start using Twitter lists from the day you join so that you can organize anyone you follow into lists as you go. However, there are a lot of us who have been on Twitter long enough that when lists were introduced, we already had quite a few people we were following. The key is to get into the habit of adding great content creators/curators to appropriate lists whenever you’re using Twitter. 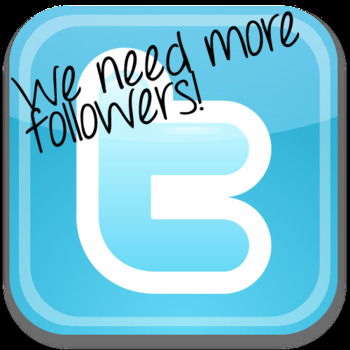 Do you use Twitter Lists? What are some more ways you find them useful?